This is a post by request of Anne Wilson. I went back to the place where I took the picture yesterday of some purple wild flowers. 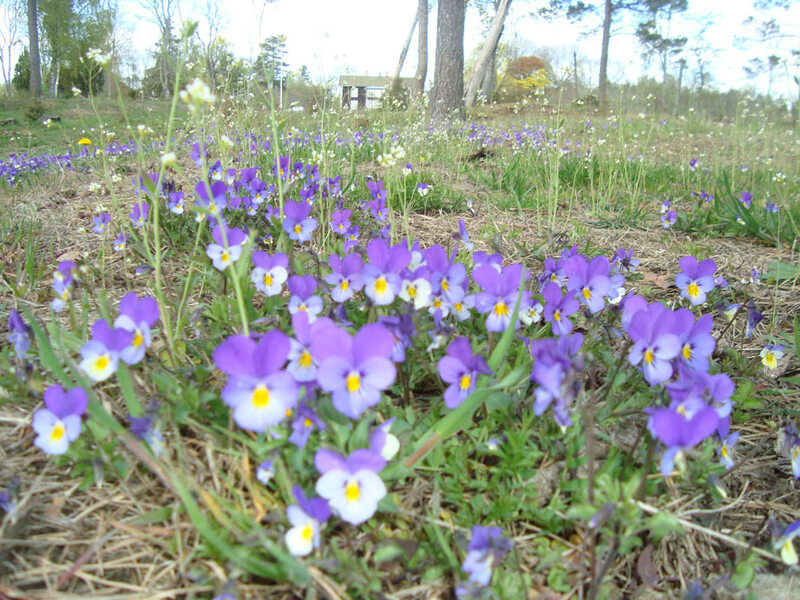 The flowers in the picture are called Viola tricolor, wild pansies, or Hearseas. They bloom from April-October. 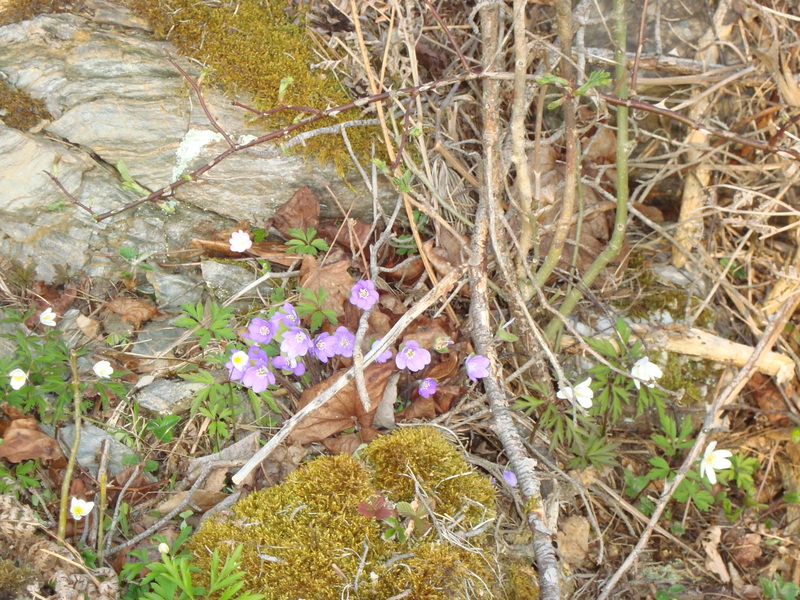 Here are some other beautiful Swedish wild flower as well. 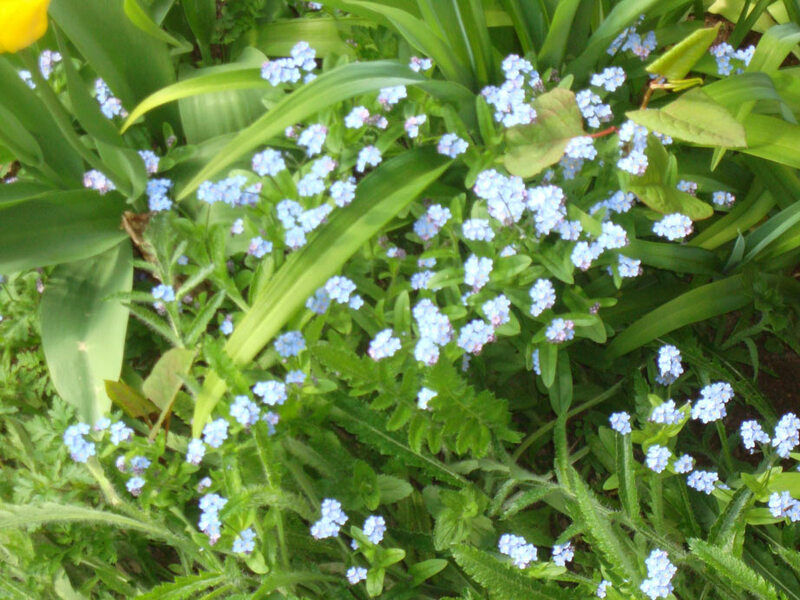 These are forget me nots. They are in my flower bed. These are called Blue Anemone. This flowers also are white and pink. I had never seen the blue or pink ones until I moved to this area. I had only seen the white Anemone. There is a field of the Blue and pink Anemone here. I was told by a friend that the Blue Anemone and the Forget me nots are endangered and are protected by Swedish law.